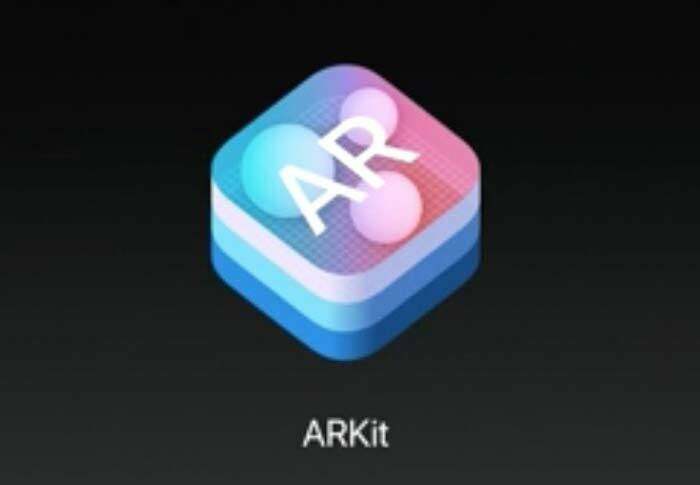 Enterprises pondering a push into augmented and virtual reality will need to embrace Apple’s ARKit, if only to access the hundreds of millions of already deployed devices capable of accessing these next-generation experiences. Of course, many see AR and VR as niche products only suitable for gaming, but these technologies have so much more potential. Here are 12 ways you might use ARKit in your enterprise. IKEA’s recent news that it will be an Apple flagship ARKit partner means you’ll be able to use your iPhone and an IKEA app to place items from its catalog around your home. The Swedish furniture manufacturer isn’t the only one looking to introduce solutions like these. Converse, Gap, Adidas, Lowes and others are developing ways to use AR and VR tech to try, explore and choose items from their stores. It’s not at all pushing the envelope to imagine Apple’s retail stores also providing some form of VR presence. In real estate, you can also anticipate immersive VR tours of potential homes – you’ll even be able to place your own furniture in them to see what works where. Why would you visit an out-of-town mall when you can get to see the products virtually from where you already are? (This may also foster even more rapid decline in retail real estate revenues). Want to know how to use your new washing machine? Simple – just point your iPhone at the device, ask Siri a question and you’ll be rewarded with a virtual guide to the controls. Want to get in-depth troubleshooting advice? Contact the manufacturer and while speaking with support you can show them your device which they can then help you adjust remotely. This means that if they do need to show up to repair the device they will already know exactly what needs to be done. Next stop? A virtual Genius advice bar. Why not? Sometimes it really helps to take a look at the situation you’re walking into if you’re an industrial mechanic. A company called Space-Time Insight already develops VR solutions for energy utilities technicians use to diagnose problems before they visit to make repairs. This lets them get to grips with layout, identify potential ambient problems (such as flooding) and ensure they turn up with appropriate equipment. These solutions become even more powerful when used to manage intelligent machines, which may even be able to identify and explain their fault and deliver accurate diagnostic and testing data in real-time. Autonomous, self-healing infrastructure and smart factory machinery is becoming a reality. VR and AR both have a part to play in the future of medicine. At famed UK teaching hospital, Barts, doctors use VR to stream life-saving operations to students worldwide. Surgeons are using AR to help ensure accuracy during surgical procedures. At a distance, AR and VR will enable experienced medical staff to diagnose medical conditions accuracy with help from less experienced practitioners on the ground. The opportunity for remote diagnosis and self-diagnosis, training and post-operative care in patient’s homes is also quite visible here. It’s even possible that medical facilities may potentially be able to perform routine operations automatically with supervision from small numbers of highly-trained staff. That’s a lot of steps away, but today you can look to Anatomy 4D as a fantastic example of a VR/AR app for medical student training. Human resources departments are traditionally stretched way too thin. The use of AR and VR in staff recruitment and training is already visible. Boeing recently said VR cuts training time by 75 percent. Immersive Technologies Enterprise builds VR training solutions for new employees in the oil and gas industries. The Red Cross, military and others all use VR to help train their people in coping when flung into truly stressful situations. When it comes to attracting talent, firms including Cisco, BetterCloud and others provide VR tours of their facilities to attract new recruits. VR solutions also enable staff to train in the use of complex enterprise infrastructure in their own time, at their own pace, wherever they happen to be. Particularly as transportation becomes more autonomous, these technologies will enable increasingly smart city and infrastructure management. The potential of VR to transform these industries needn’t wait for self-driving cars to become commonplace. DHL already used VR to improve its delivery processes. You’ll see increasing adoption of VR glasses inside online product distribution centers, where they are used to put orders together fast. Solutions like the WayRay Navion show the potential of these technologies to improve driver experiences across future generations of road transport. The planet is over-populated, and the modern food industry is becoming increasingly complex as it attempts to meet demand. We already have huge farms managed by remote sensing technologies and semi-autonomous farming equipment. VR and AR are enabling even more technology advances across this most important sector, Aria’s recent Smart Dairy 2025 study identified numerous usage scenarios. These include equipment maintenance, herd-health and location monitoring solutions. AGCO Corp. is also seeing results from use of VR glasses when building agricultural equipment, which it claims make quality checks 20 percent faster. VR is enabling rapid product prototyping across a range of companies, including Nike, Adidas, Ford, Boeing and Lockheed Martin. The theory is simple: Build new products in a virtual environment and you can check component compatibility, and estimate production prices in a far more affordable way than the current system which requires prototypes are actually built. Not only does this enable rapid design and deployment because such systems accelerate new product design, but they also limit overall production costs. The implications for architecture should be obvious: Planners can now get a flies-eye view of every nook and cranny of a project, potentially enabling them to avoid constructing dangerous buildings. This should reduce building costs, and may save lives in future. Would the dreadful waste of life and seeming incompetence at the UK’s Grenfell Tower have taken place if planners had been able to see the dangers virtually before building took place? When it comes to rehearsing disaster management or potential health and safety challenges, VR systems should be a boon for emergency services. Heads-up displays are already in use across all three U.S. armed forces, with nigh vision AR helmets also in development. These real world solutions rely on specialized technologies, so imagine how much more prevalent they will become now the cost of content creation has fallen? VR is already in use for training in the armed forces, now it is becoming possible for rapid deployment forces to train for the exact scenarios they are being called upon to conquer. Similarly, emergency services can use AR to rapidly proliferate emergency instructions (such as guiding people to exits), and use VR to prepare and train for emergency situations. I love history. We are surrounded by so much of it, but so little is truly visible. AR and VR have a big part to play: Historical and cultural artefacts can be augmented with additional information about them (Smartify is a good example of this), and historical places and events will eventually be as easy and immersive to explore as putting on a VR headset and hitting the play button. When it comes to travel, Lonely Planet uses Wikitude to provide you with local info gleaned from reputable online sources using your iPhone display. This kind of information augmentation is already a product as a service, Blippar provides brands with technologies they can use to deliver such experiences. Sygic Travel this week began offering developers APIs they can use to add its rich collection of travel and place-related information within their own apps. Education is clearly a whole other sector in which these solutions can be deployed. One of my favorite AR apps, Spyglass, uses your iPhone’s built-in GPS to provide you with tools real explorers want to use, including night sky navigation, a compass, and more. In fashion, you’ll likely see more fashion brands emulating TopShop’s VR catwalk; there is an opportunity for both enterprise and consumer brands to visualise, develop and deliver engaging yet useful VR tools and experiences designed to open up the opportunity for brand engagement with their customers. A paint manufacturer could potentially introduce a VR-based color chart that lets consumers compare the effects of different colors on their homes, for example. There are also implications for testing product packaging (or anything else) with remotely based focused groups, perhaps by introducing these within virtual malls. Have you come across any interesting enterprise uses of VR or AR? What are these? Do you see the opportunity in these new technologies, or do you think it’s all just hype? Please let me know.